Geometry is basically the study of different properties of point, line and plane. 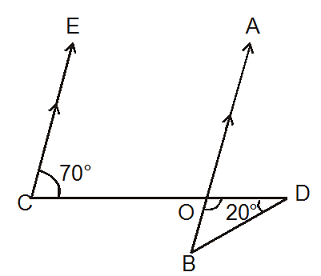 Right angle: An angle of 90° is called a right angle. 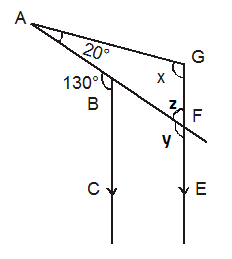 Acute angle: An angle of less than 90° is called an acute angle. Obtuse angle: An angle of greater than 90° is called an obtuse angle. Reflex angle: An angle of greater than 180° is called reflex angle. 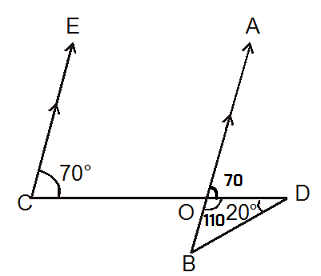 Complementary angles: If the sum of the two angles is 90°, then they are called complementary angles. Supplementary angles: If the sum of the two angles is 180°, then they are called supplementary angles. 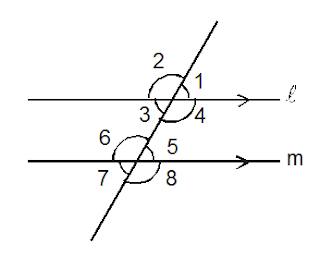 Vertically opposite angles: If two lines intersect each other, then the vertically opposite angles are equal. 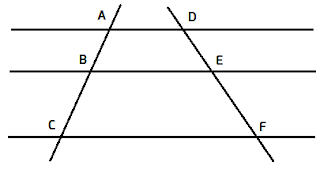 a, c and b, d are vertically opposite angles. a. each pair of consecutive interior angles are supplementary. b. each pair of alternate interior angles are equal. 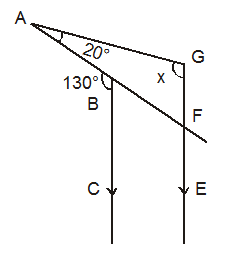 Now $\angle $ G = 180 - F = 110. 2. Find the value of x in following figure. 3. 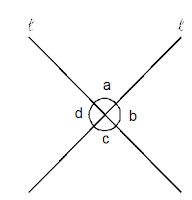 Find $\angle $OBD in the given figure. It is given that EC || AO. 4. If the two lines n and m are parallel, then find the value of $\phi $ in the given figure. Alternate method: you can also solve this problem by calculating interior angles of the triangle.